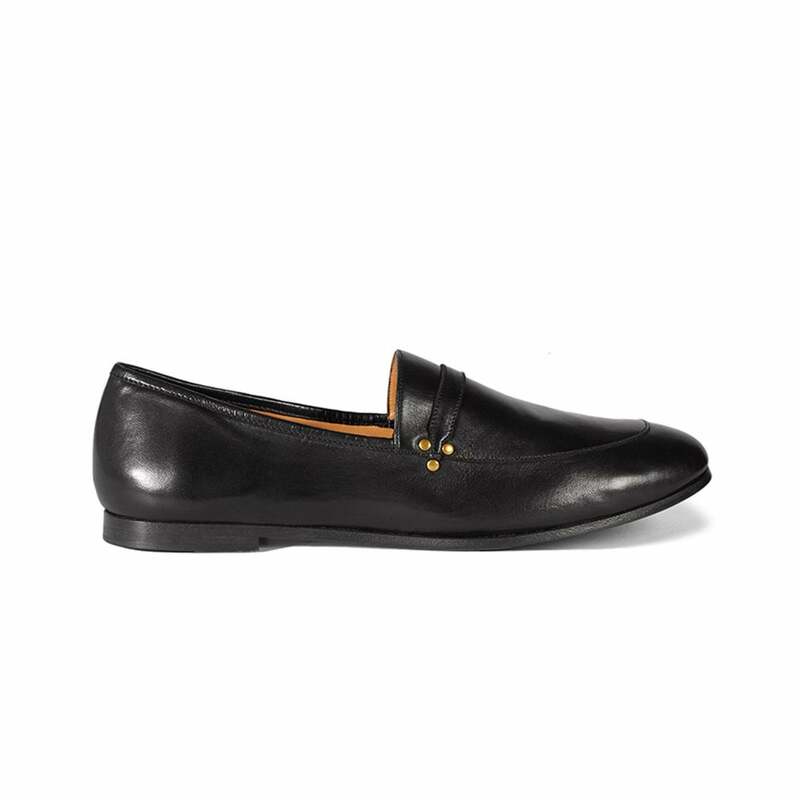 Gabi Loafer in Black: The Jerome Dreyfuss gabi loafer returns this season in classic black making it the 'go with everything' shoe of the season. Styled in a soft grained leather with brass hardware, a high front, brass studs making it both stylish and functional for a low key look. Wear with rolled up jeans and a blazer in early autumn and for the office with a black trouser suit.